The Dominican government has banned the performance of an African-based band at the World Creole Music Festival (WCMF) later this month, saying it is concerned at the spread of the deadly Ebola virus which has killed more than 3,400 people in Africa. 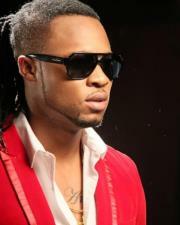 The Nigerian group, Flavour, was scheduled to perform at the Festival on Saturday, October 25. Another African band, Soukous All Stars, will remain on the lineup since its members reside in Paris, Montreal and New York. After a review of the file with respect to the contractual arrangements entered into with the Flavour Band out of Nigeria, to date, a total of EC$147,000 (One EC dollar =US$0.37 cents) has been expended on professional fees and international travel by the group. It was said that this was a lot of money, but, it pales into insignificance when matched against the consequences of exposing the people of this region to the risk of the Ebola virus. It was also noted that purely out of caution, the organizers of the festival will meet with the relevant legal departments of government to determine the matter of a renegotiation of the Flavour contract. It is hoped that if the Ebola virus is cleared or controlled by this time next year entertainers such as Flavour could visit and perform in Dominica. We absolutely love your blog and find amlost all of your post's to be precisely what I'm looking for. Do you offer guest writers to write content in your case? I wouldn't mind producing a post or elaborating on some of the subjects you write related to here. Again, awesome weblog! Very good call by the government - this ya ibola is no joke and should be taken seriously! !